Cynthia Leitich Smith has worked in law, public relations, and journalism. She is a mixed-blood member of the Muscogee (Creek) Nation. Ms. Smith lives in Austin, Texas, with her husband and a gray tabby. 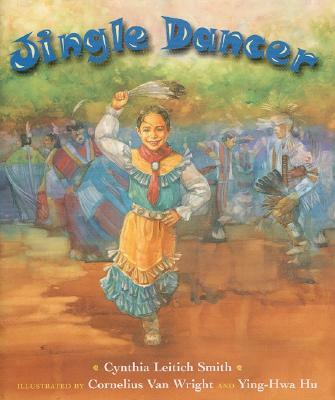 Her books include Rain Is Not My Indian Name, Jingle Dancer, and Indian Shoes. Cornelius Van Wright and Ying-Hwa Hu have illustrated many distinguished picture books, including Jewels, by Belinda Rochelle (Dutton), which was selected as a Notable Trade Book in the Field of Social Studies. The couple lives in New York City with their daughter and son.